On Saturday April 14 2012, South Walton Firefighter/Paramedic, Danny Margagliano was involved in a freak diving accident while diving into deep water which paralyzed him. Although, we don’t yet know if his paralysis is permanent, this injury has been devastating to Danny, his family, and friends, and his recovery will be extensive. His wife April, son Ethan, and daughter Summer have been affected greatly by this tragic accident and are struggling, with the help of friends and family, to deal with this immense challenge. Before this accident, Danny was an active Firefighter, Husband and Father who loved and enjoyed life, on and off duty. 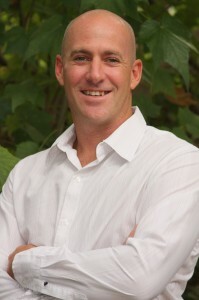 He was also a Realtor for Keller Williams, an avid surfer, and fisherman. Danny “Questo” was born and raised in Upper Township New Jersey and is known in the area as one of Jersey’s greatest surfers. He was a longtime Heritage team rider and NJ pro surfer. Update – After 4 months of rehab, Danny and April returned home to Santa Rosa Beach. Donations 4 Danny and the community are currently renovating their home to make it accessible for Danny and his family. Project started August 20th 2012 and is expected to be completed by the end of October 2012. Danny is currently in the ICU at Sacred Heart Hospital in Pensacola where he remains on a ventilator. His family is trying hard to admit him to the Shepherd Center in Atlanta, Georgia, where he can start the long road to healing and recovery. As you may know, firefighters don’t chose their profession for the money. Within each one of them is a drive to help total strangers in their greatest time of need. Now is the time you can do the same and say Thank You for those who selflessly risk their lives to protect life and property. We are asking for you to donate whatever you can to help his family, as you can only imagine the costs associated with this injury/recovery that Danny’s family are facing. For your security and convenience, a PayPal account has been established to assist Danny’s Family in their greatest time of need. Donations via check are accepted as well. Donate to support Danny and his family during his recovery.